This consists of three characteristic autosomal lineage markers tracking back like the Romani people themselves to Northwestern India (Himachal Pradesh, Kashmir, and Punjab). None of them actually originated with the Sinti, who are a derived ethnicity, so all are rather weak and may signal predecessor or contributory ancestries. 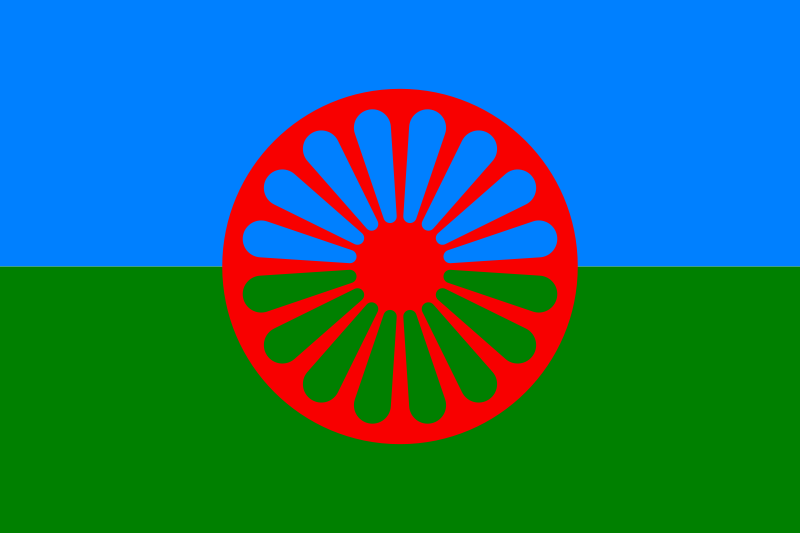 Found in combination in up to 20% of Gypsy individuals sampled from countries in Central and Eastern Europe, this complex well distinguishes them from surrounding European populations. Beginning in the eleventh century, Gypsies began a migration westward through the Middle East and Turkey, crossing into Europe in the later Middle Ages, from which they spread in small groups all over the world, including settlements in colonial America. These alleles can also be found in other peoples related to Indian populations, including Southeast Asians, Central Asians and even South American Indians. Until the twentieth century, Gypsies did not mix much with other Europeans. Their strain of Northwestern Indian DNA in a family tree is therefore usually unmistakable. 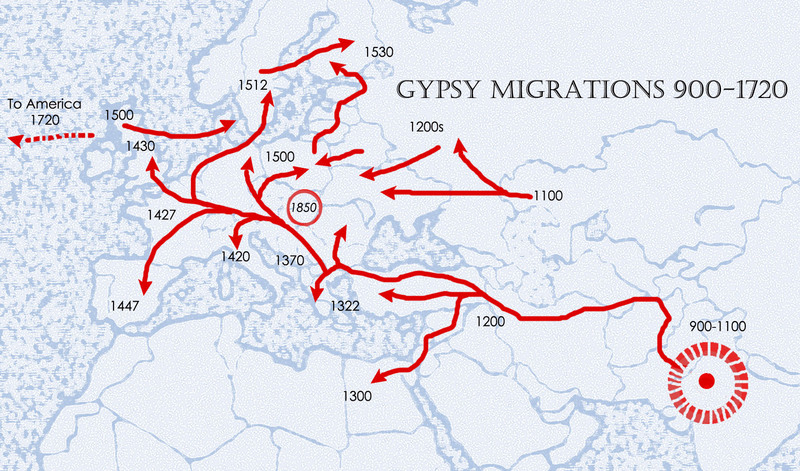 Routes and dates of arrival of the Romani or Gypsies in Europe and the Middle East, starting out in Northwestern India.